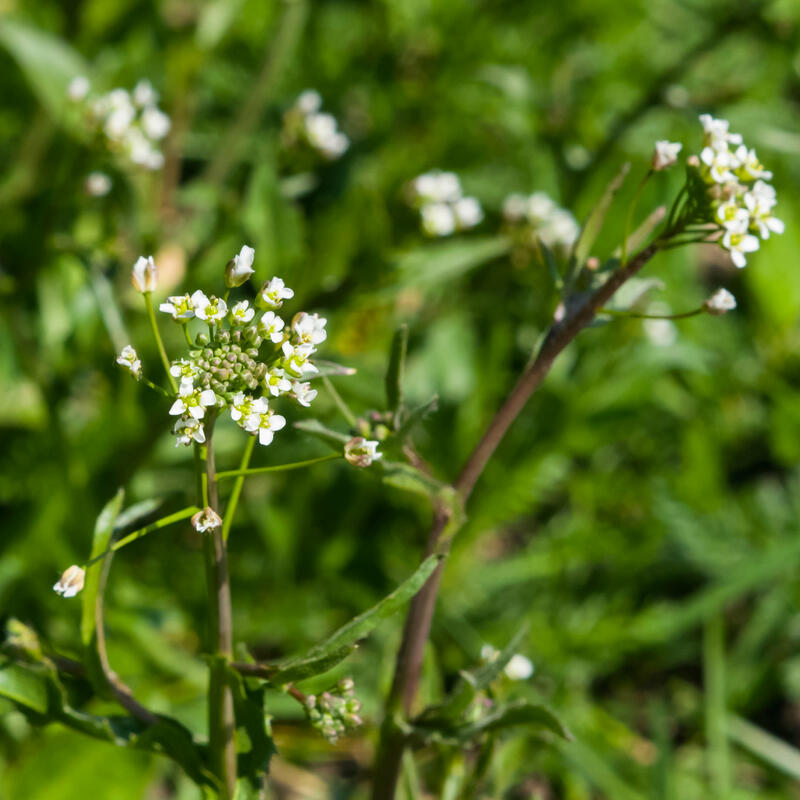 Shepherd’s purse is native to Europe, but this pesky weed has naturalized across Canada and the United States. The unusual name refers to the seed pods, which look like small, triangular purses once carried by shepherds. While shepherd’s purse isn’t as aggressive and difficult to control as many lawn weeds, it can be a significant nuisance. A member of the mustard family, shepherd’s purse consists of ground-hugging rosettes that show up in fall or spring. A green or reddish-purple stalk emerges from the center of each rosette in late spring, soon sporting tiny, white, four-petaled flowers at the end of the stalks. This weed goes from germination to seedpod very quickly and reproduces by releasing sticky seeds, which may remain viable in the soil for several years. Maintain a healthy lawn, as thick, vibrant grass makes it difficult for weeds to get started. Water and fertilize regularly. 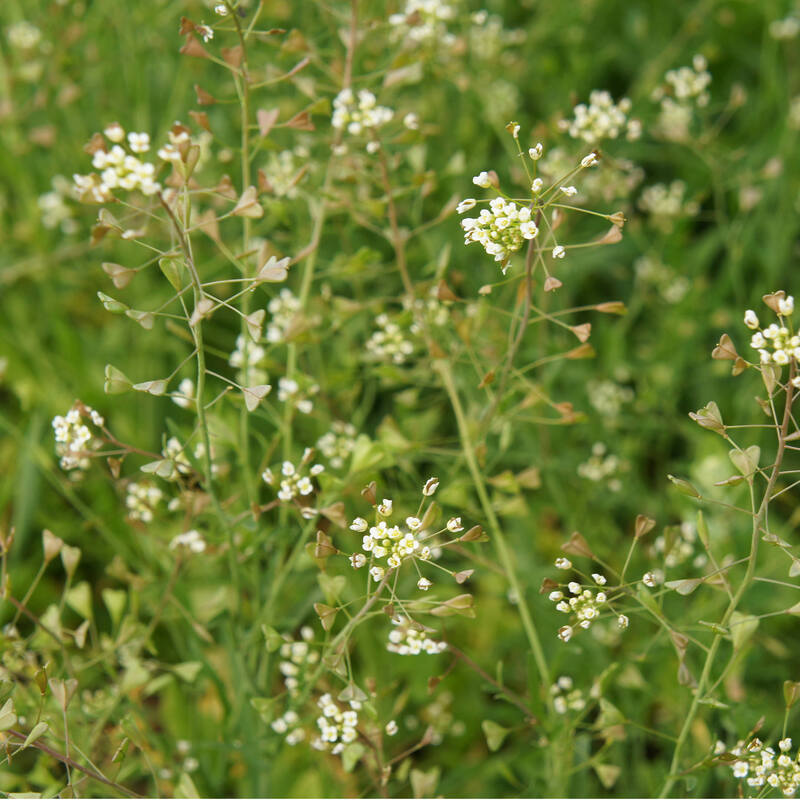 Set your mower high and mow frequently to prevent Shepherd’s purse from blooming. Never allow the plant to set seeds. Pull or hoe shepherd’s purse in flower beds and vegetable gardens. You can also apply herbicide to leaves, using a cotton swab or tiny paintbrush. In lawns, a post-emergent herbicide for broadleaf weeds is the best means of control. 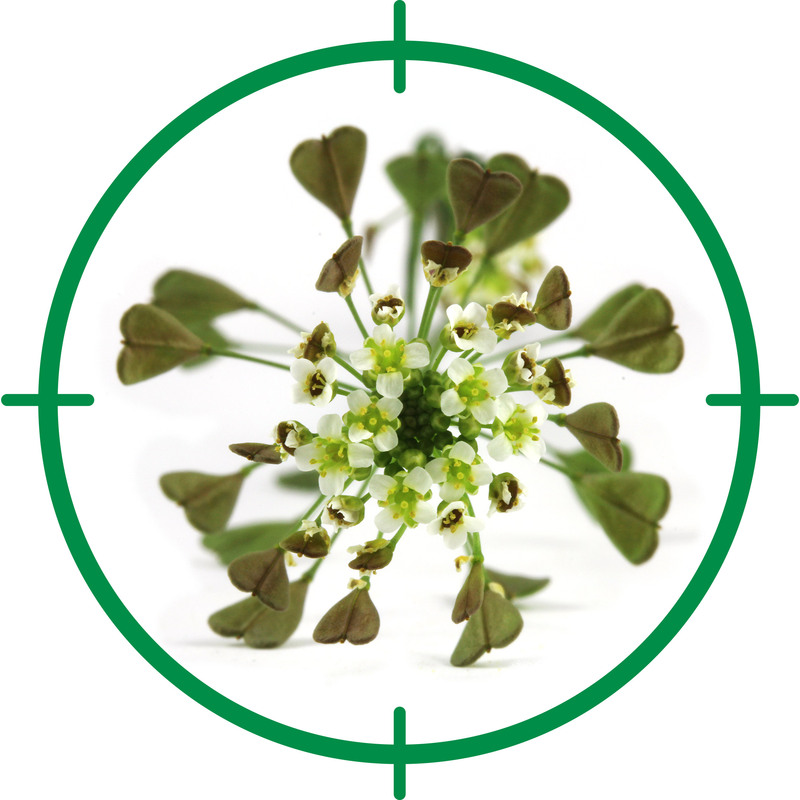 Be sure the product is registered for use against shepherd’s purse. Apply post-emergent in spring, before the plants has a chance to flower, and then repeat in autumn. If you have only a few random weeds, spray them with a ready-to-use weed killer. Keep in mind that drift of herbicides can kill nearby plants. Spray herbicides on a still day when no rain is expected for a couple of days.